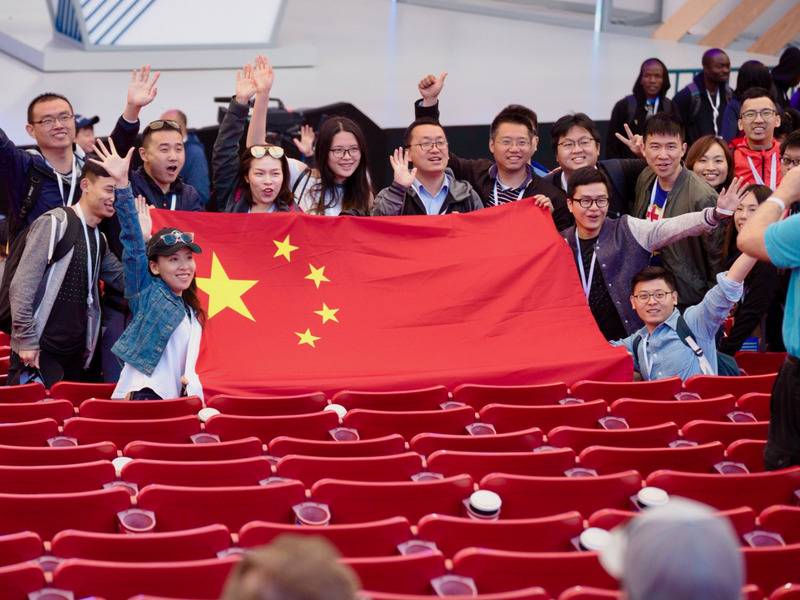 Greg Sandoval/Business InsiderGoogle fans from China hold up their nation’s flag at the I/O developer conference in 2018. Lokman Tsui, head of free expression for Asia, said he couldn’t think of a scenario by which such a search engine didn’t violate human-rights standards. Lokman Tsui didn’t mince words. He was responding to the news last week that Google was building a search engine that would filter out search terms and web sites that the government of the People’s Republic of China finds objectionable. Since then, Google has faced criticism from politicians, users and even its own employees. “In these past few years things have been deteriorating so badly in China – you cannot be there without compromising yourself,” Tsui told The Intercept. Google representatives did not immediately respond to questions about Tsui’s comments. This year, Google’s managers have invited scrutiny into how committed they are to their long-stated values. The controversy over the proposed Chinese search engine comes after many Google employees protested the company’s involvement in a military program, known as Project Maven. Under Maven, Google provided artificial intelligence technology to help the Pentagon analyse video footage taken from drones. Employees as well as scholars and AI experts called for Google to end the relationship and pledge never to build AI-enhanced weapons. Management responded by publishing a list of AI principles that would government the company’s future use of the technology and did promise never to build AI weapons. Meanwhile, managers made a symbolic gesture earlier this year that might have hinted that they are, at minimum, re-evaluating some past ethical stances. The phrase that was supposed to be Google’s main moral guidepost, “Don’t be evil,” was removed from the preface of the company’s code of conduct and dropped to the bottom of the page.